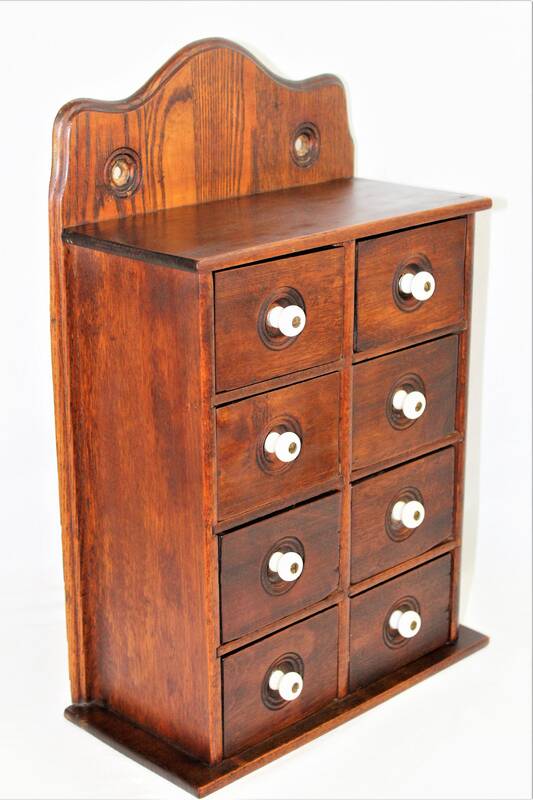 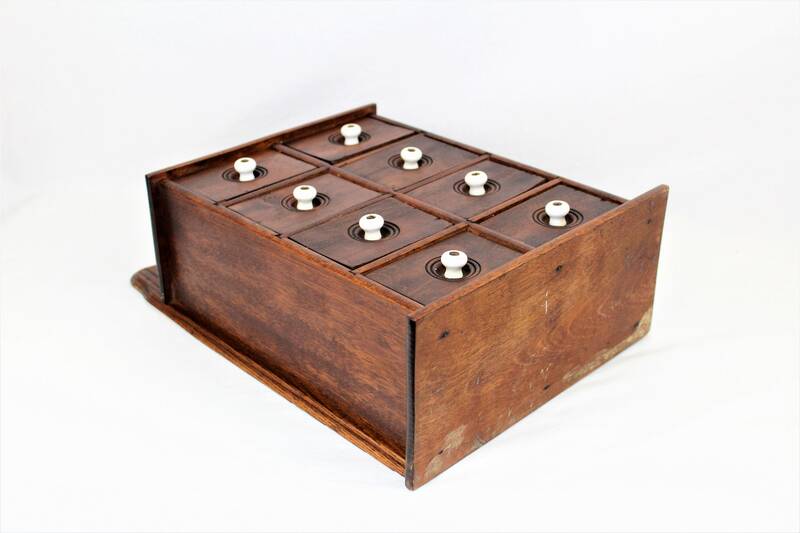 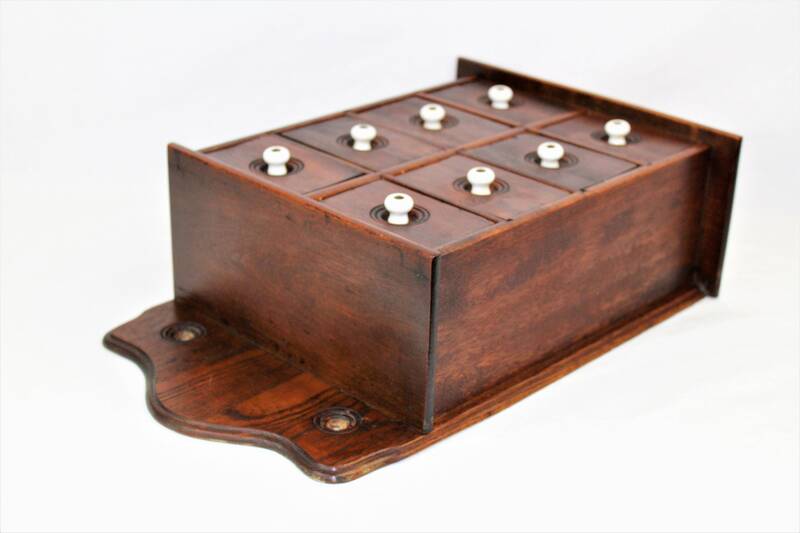 Wonderful Antique Eight drawer spice cabinet made of solid hardwood with white ceramic pulls. 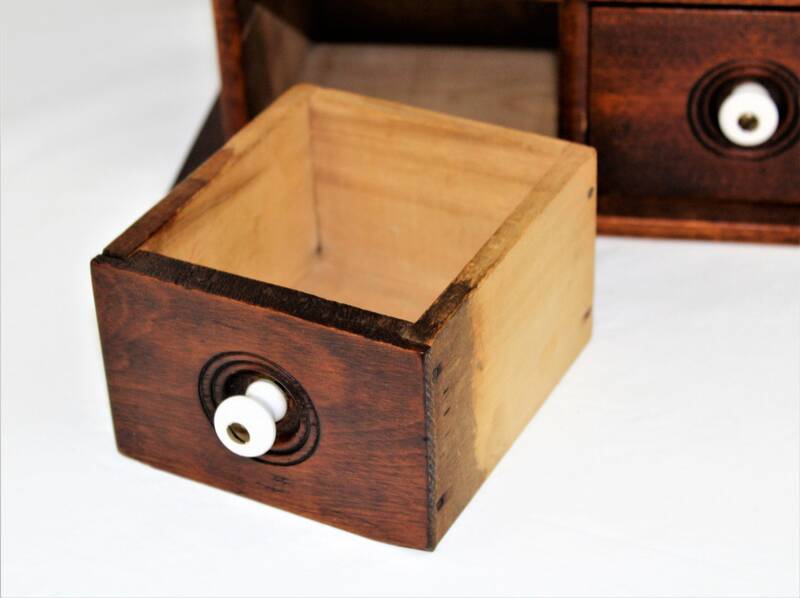 This is a true kitchen classic perfect for storing bulk herbs and spices. 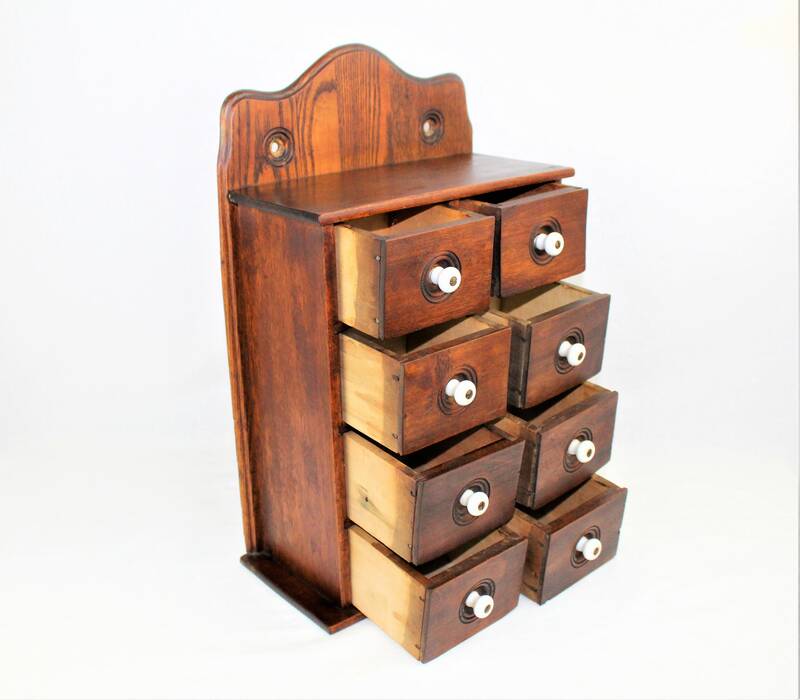 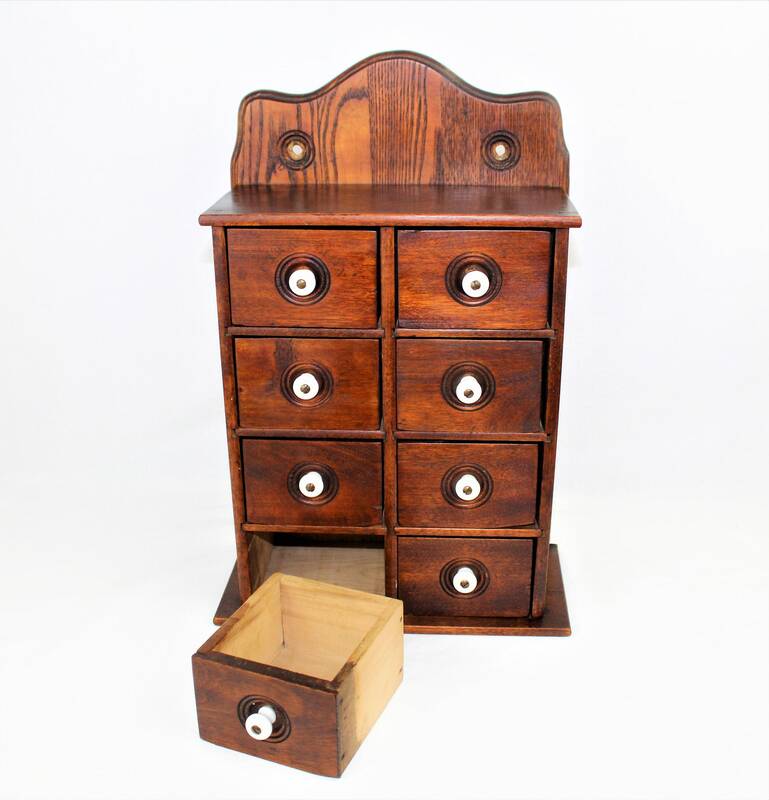 The eight drawers are removable for easy access, drawers measure 4” wide and 2 ¾” tall 4 ½” deep. 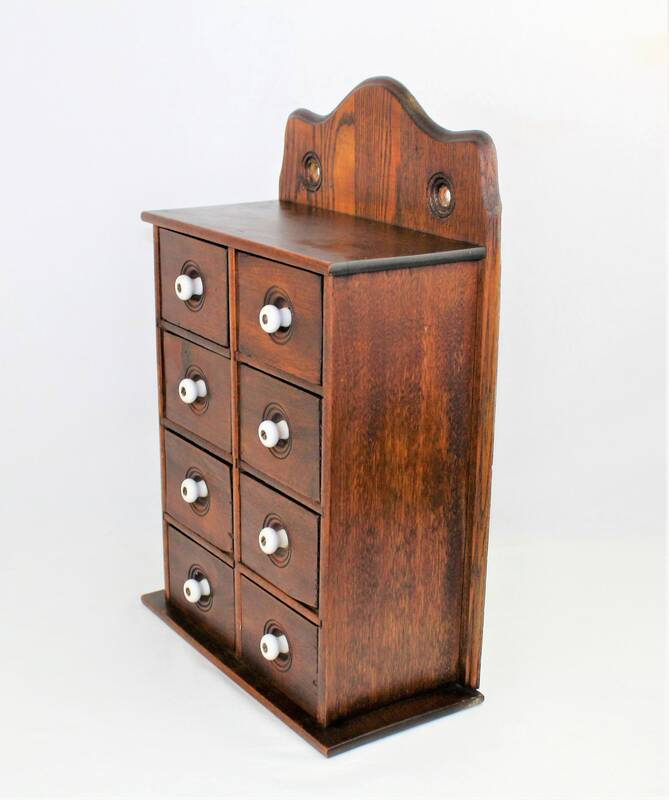 The cabinet has a very lovely patina and the white ceramic knobs with brass screws which add a wonderful primitive look. 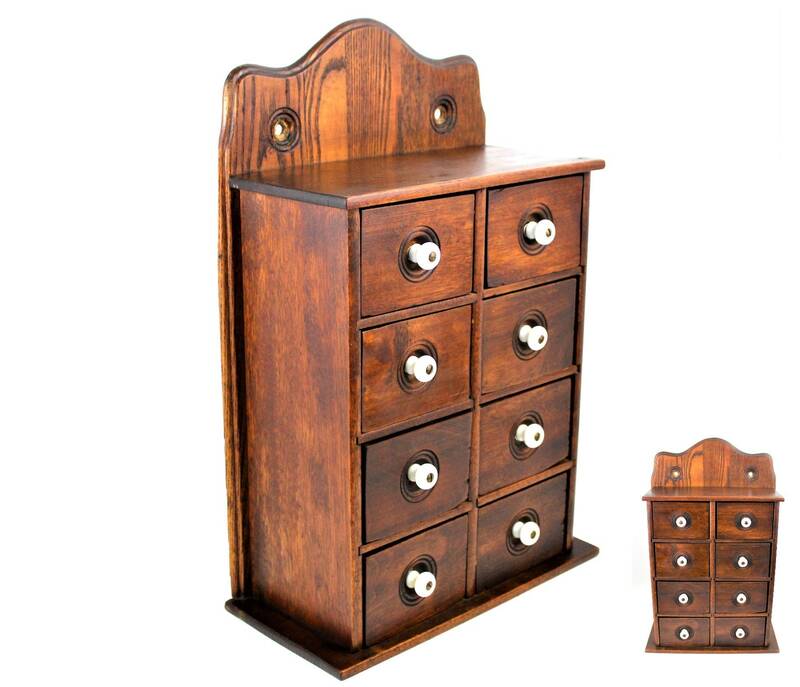 Measures: 16 ¾” tall, 11” wide at base, 5 ¼” deep. 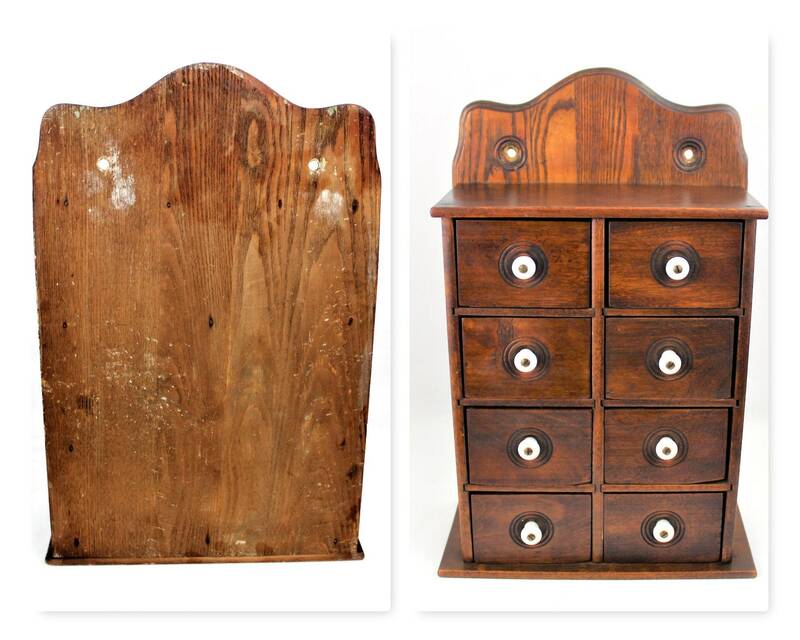 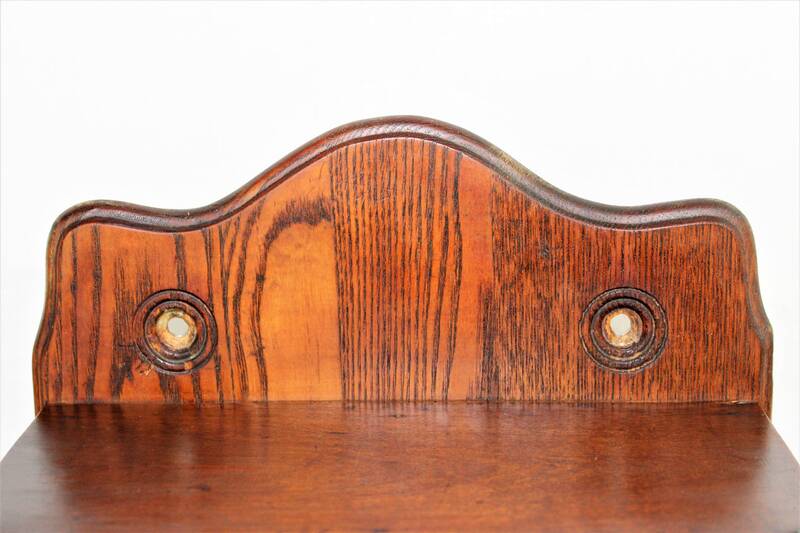 Condition: 100% vintage with scuffs and scratches and a few chips in the drawer fronts as shown.